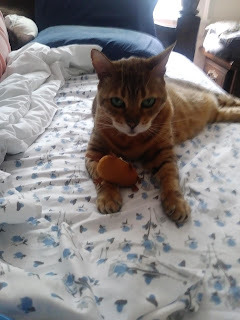 so I know I get items for my pet for special occasions or just because and or if they need a certain type of product due to allergies. Well chew has got you covered with there goody box there's one for cats and dogs. It comes with cat foods and treats and even toys cats will love. 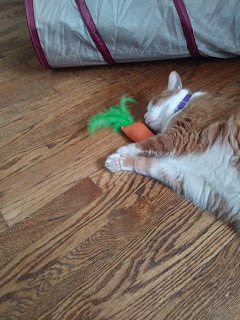 It comes with all full size products from bone broth to treats to wet food and even toys with catnip inside. 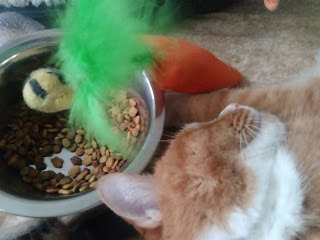 My cats loved the toys alot besides the food. I like that I know chewy is making sure we have the right products for out pets if there's allergies involved or if we want to give it on a special occasion. As you can see one was pooped out to he other enjoyed her toy the one that's Laying down is a boy the one looking up is a girl. They love there toys and catnip. 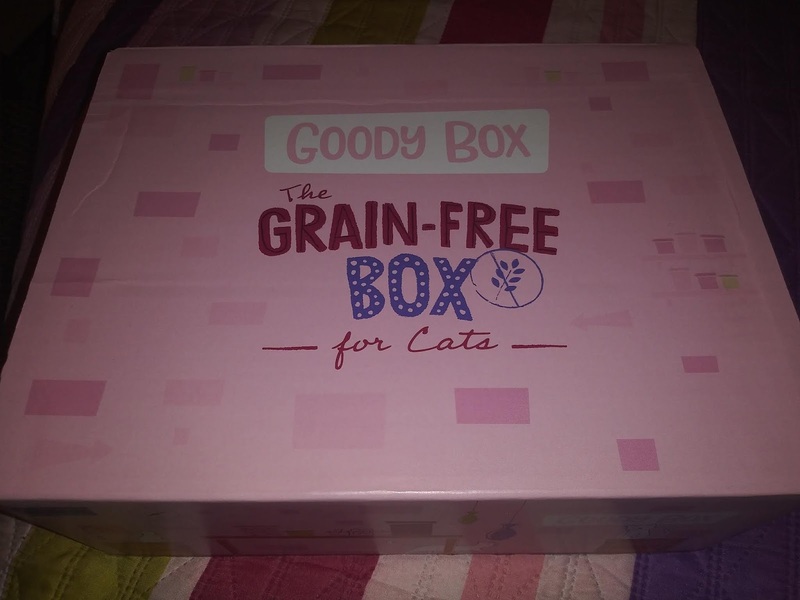 I love the box it gives variety especially if you were gonna buy three items for your pet cat or dog or even tiny dogs they have a box for that also. 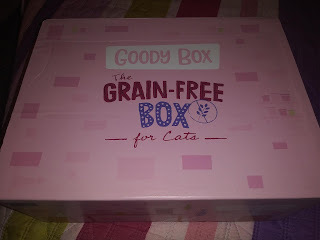 You can find this box or others on Chewy website for all your pet needs. 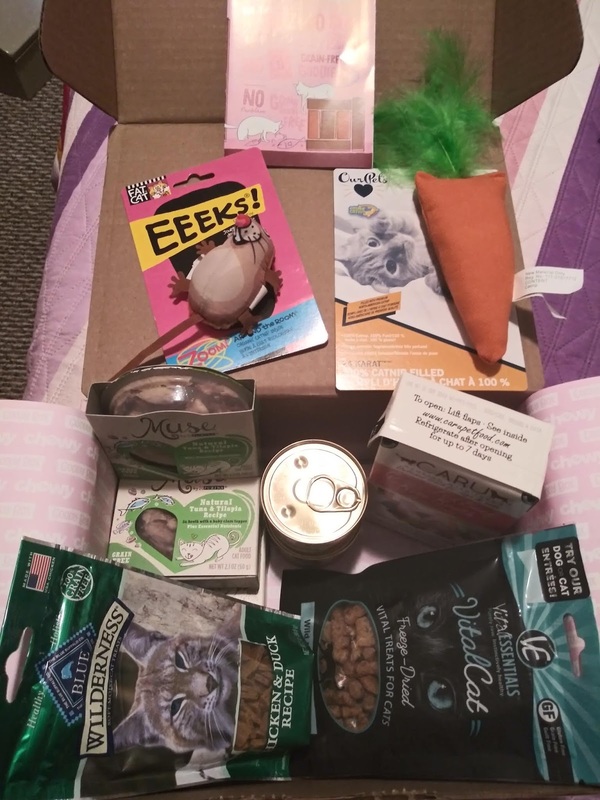 I received these goodies free of charge from Chewy in an exchange for my honest review. All is my own opinion.